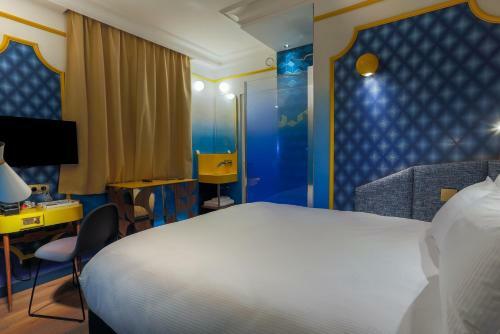 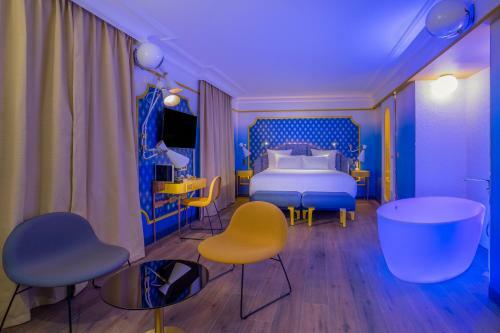 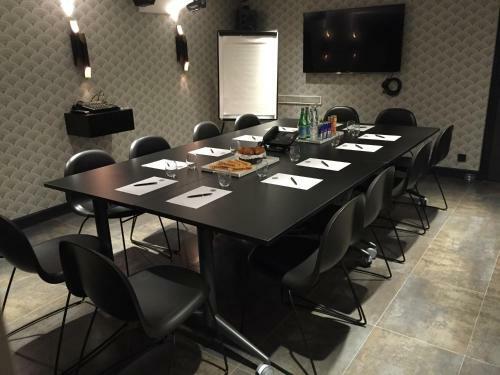 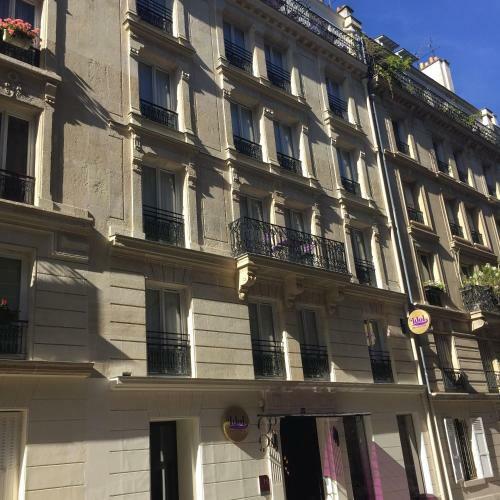 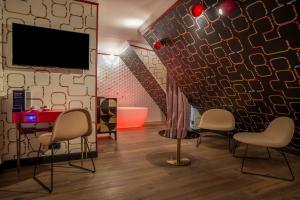 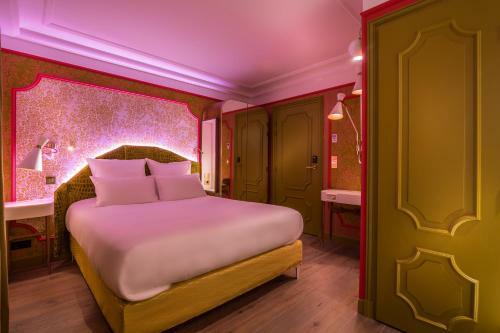 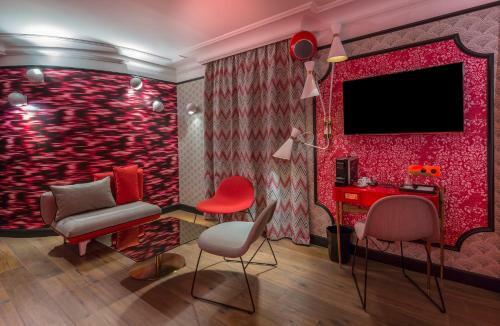 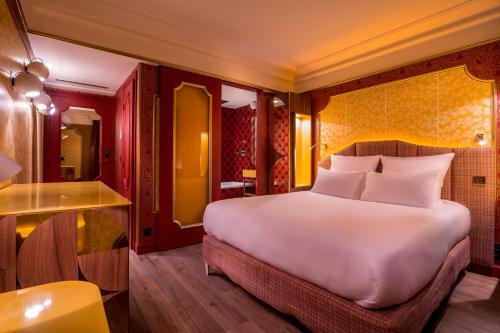 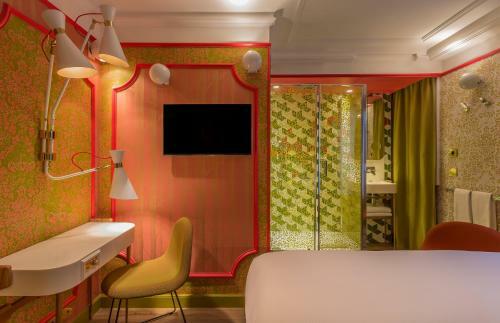 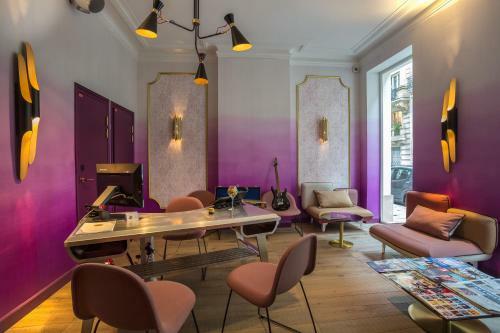 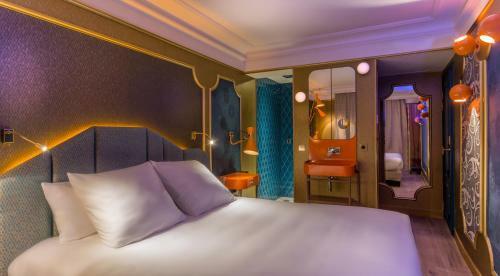 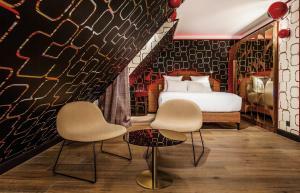 Idol Hotel is located in Paris, 100 metres from Saint-Lazare Train Station, a 15-minute walk from Galeries Lafayette and an 18-minute walk from Opéra . 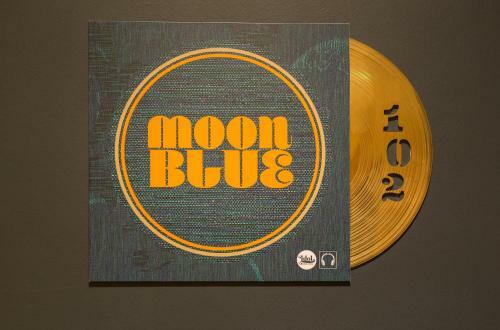 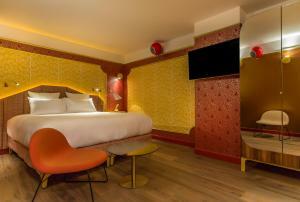 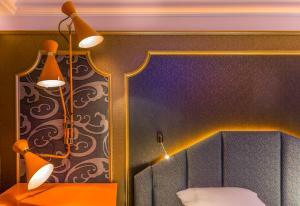 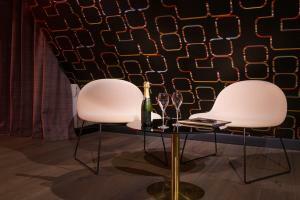 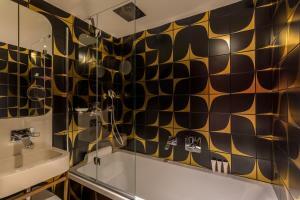 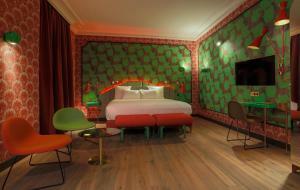 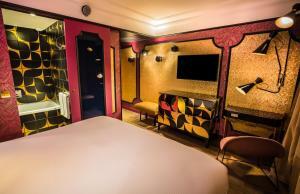 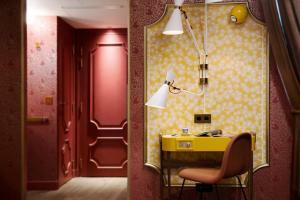 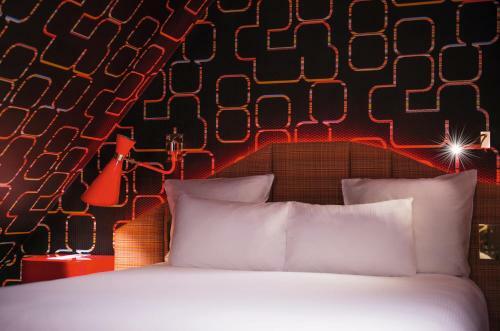 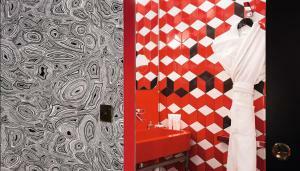 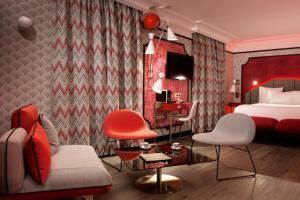 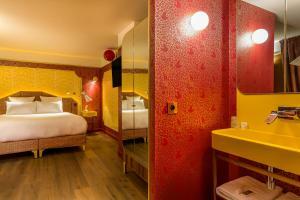 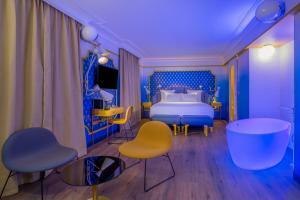 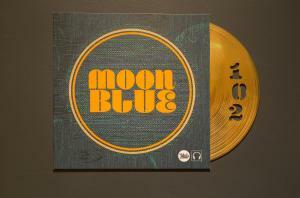 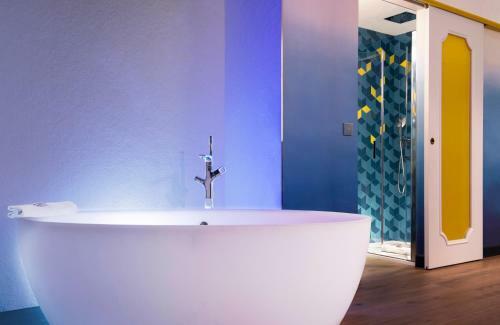 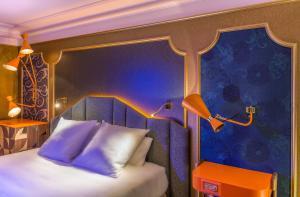 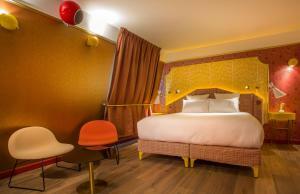 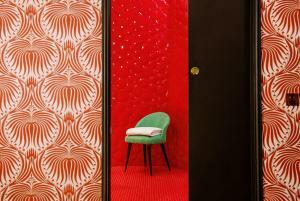 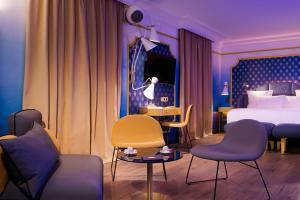 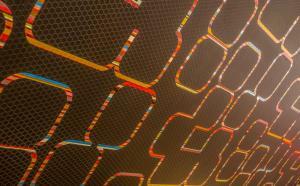 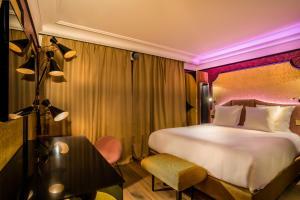 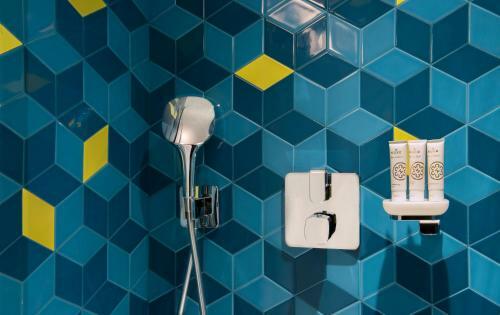 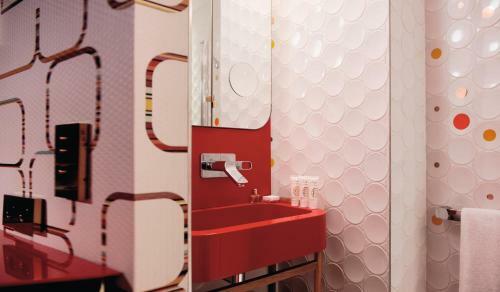 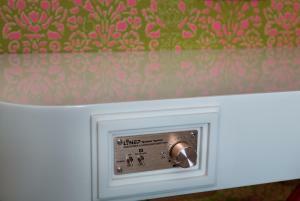 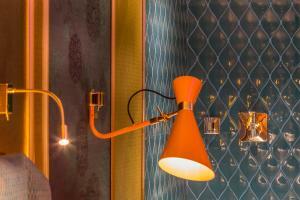 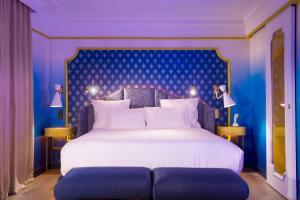 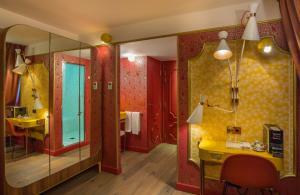 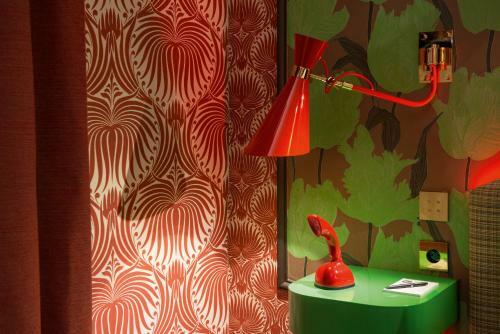 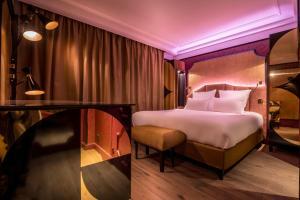 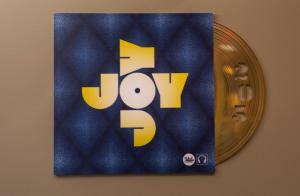 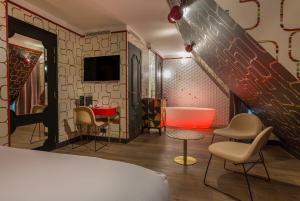 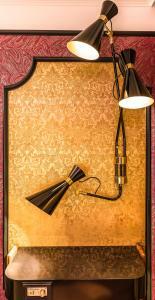 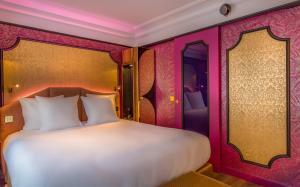 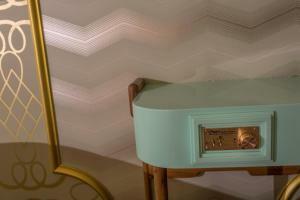 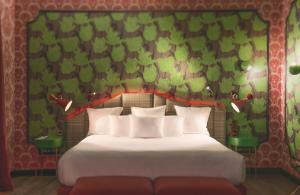 The hotel is inspired by groovy and funky music from the 60s to the 80s. 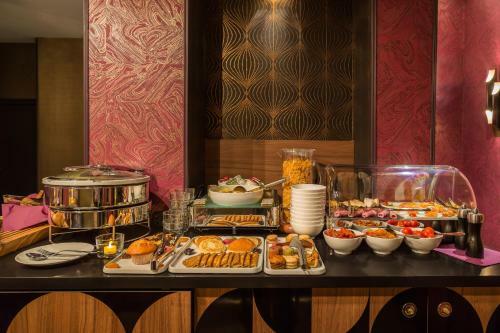 A continental breakfast is provided daily. 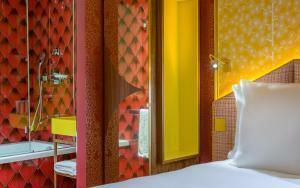 Each room also includes a minibar and a coffee machine. 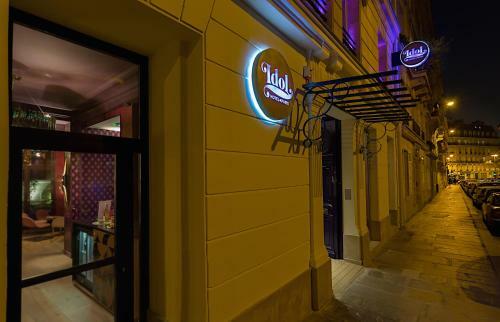 At Idol Hotel you will find a 24-hour front desk, a terrace and a bar. 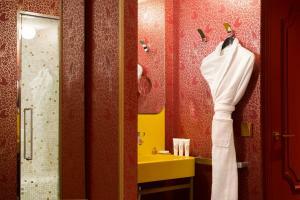 Other facilities offered at the property include luggage storage and dry cleaning. 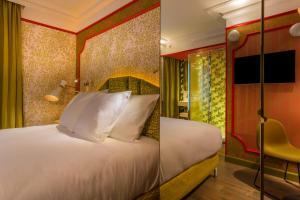 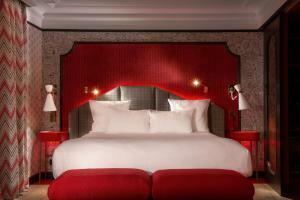 The hotel is 1.1 km from Opéra Garnier and 1.3 km from Pigalle. 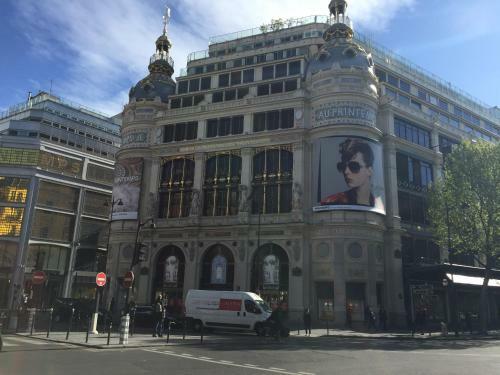 Champs-Elysées is a 20-minute walk away. 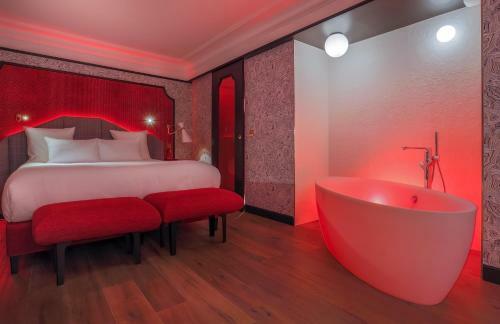 This single room has a cable TV, minibar and soundproofing. There is a shower cubicle which opens on to the bedroom. 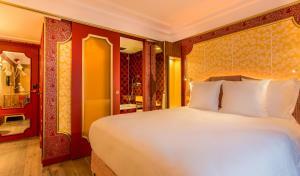 Rate: € 125.00 ... € 423.00; select dates below to get current rates. 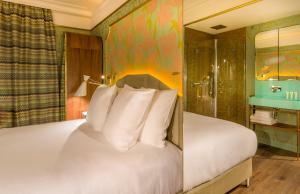 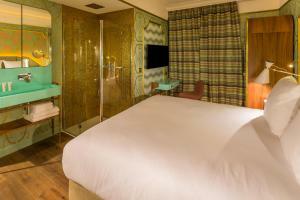 This double room features air conditioning, soundproofing and minibar. 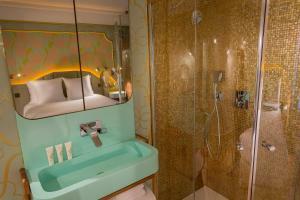 There is a shower cubicle which opens on to the bedroom. 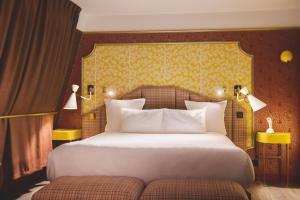 Rate: € 152.75 ... € 225.86; select dates below to get current rates. 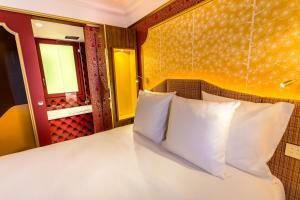 This double room features a minibar, soundproofing and air conditioning. 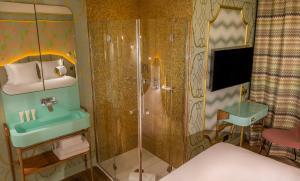 There is a shower cubicle which opens on to the bedroom. 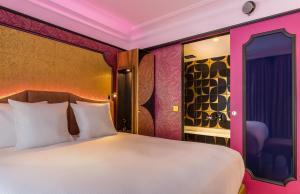 Rate: € 137.00 ... € 569.67; select dates below to get current rates. 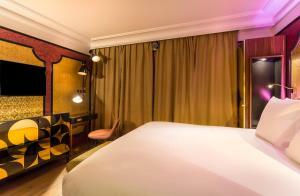 Rate: € 162.83 ... € 199.50; select dates below to get current rates. 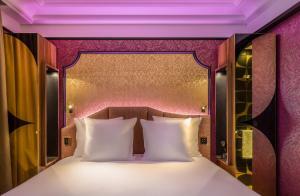 This suite has air conditioning, minibar and soundproofing. 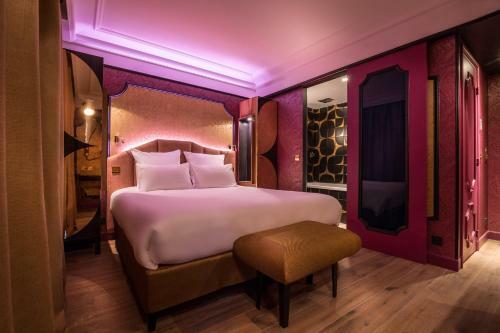 This suite has a satellite TV, air conditioning and bathrobe. 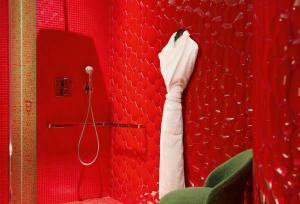 A hammam is also available. 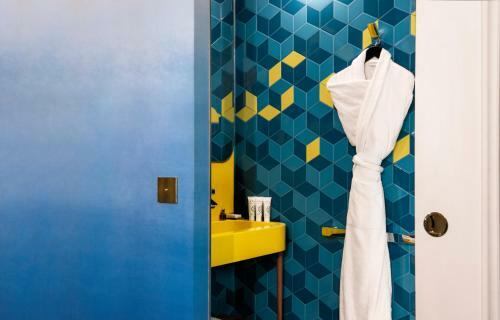 This suite features a bathrobe, minibar and soundproofing. 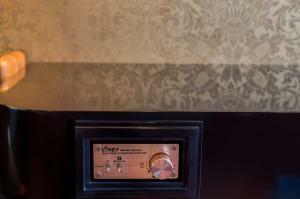 This suite features a satellite TV, minibar and soundproofing. 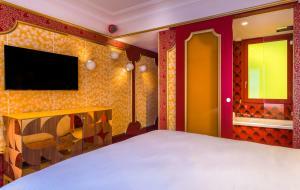 This double room has a satellite TV, air conditioning and minibar. 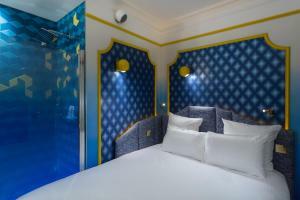 This room connects a single room ("Joy") and a double room ("Lady Soul"). 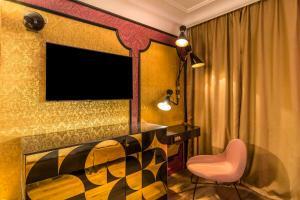 It features cable TV, a minibar and air-conditioning.